2,744 local people have been fed by Harlow Foodbank in the 2015/16 financial year, compared to 3,133 in 2014/15. Of this number, 1,001 were children. 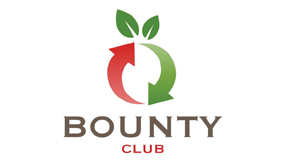 Bounty Club, which is also part of the Michael Roberts Charitable Trust (MRCT), also provided these referred people with over 10 tonnes of surplus fresh food in 2015/16, alongside their non-perishable food, which may be partly the reason why referral numbers were down during the year as this would have given them up to a seven-day food provision instead of three. At the Harlow Foodbank, the top three reasons for foodbank referrals were: benefit delays & changes 38%; low income 17% and Domestic Violence 8%. 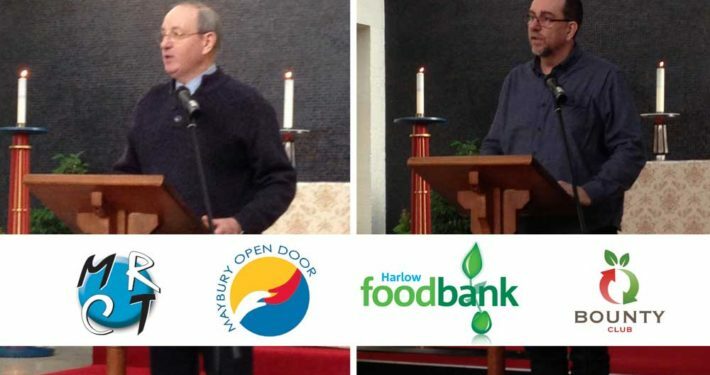 Over the last year, local people have donated 48 tonnes of food to Harlow Foodbank, and over volunteered. 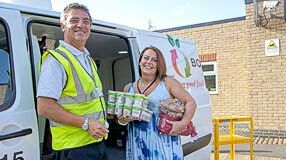 Local schools, businesses and faith groups have provided vital support to the foodbank, enabling us to give three days’ nutritionally balanced food and support to people in crisis. 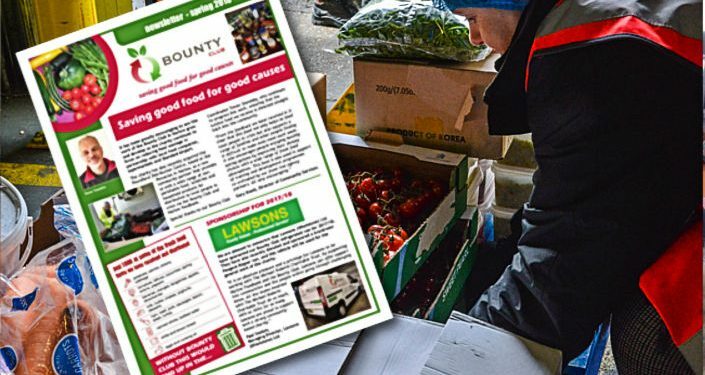 Local fresh food companies have also been donating food to Harlow Foodbank and the Bounty Club during the year and over 60 tonnes of this food has been distributed by the Bounty Club to front-line professsional agencies, community groups and charities in Harlow. Harlow Foodbank also works in partnership with Safer Places and Family Mosaic by providing emergency foodboxes to them for their clients. 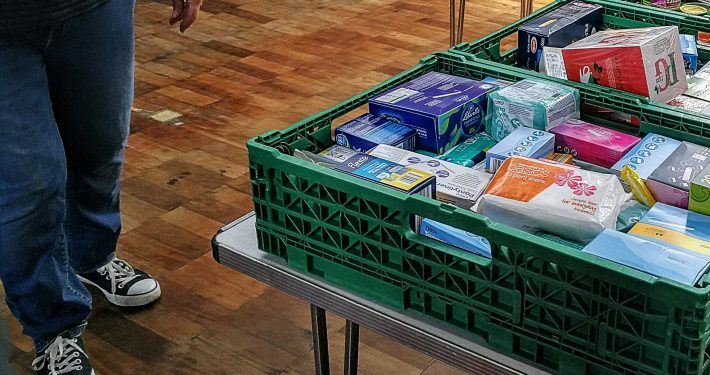 As well as providing emergency food, Harlow Foodbank provides essentials like toiletries, washing powder, nappies and hygiene products to families who are struggling, as well as signposting them to other services in the local area. Many Trussell Trust foodbanks, including Harlow Foodbank, are partnering with other agencies to provide additional services such as welfare advice, budgeting help and debt support, helping people to break out of crisis. Harlow Foodbank is also working in partnership with ten local primary school breakfast clubs providing cereals, jarred spreads, fruit juice and bread in support of their work with disadvantaged children from low income families. “Today’s figures on national foodbank use prove that the numbers of people hitting a crisis where they cannot afford food are still far too high. One million three-day food supplies given out by our foodbanks every year is one million too many. This many people needing emergency food must not become the new normal. I’m calling on Government, the voluntary sector, businesses and communities to work together to tackle hunger and poverty in the UK. This has to be a society-wide effort. 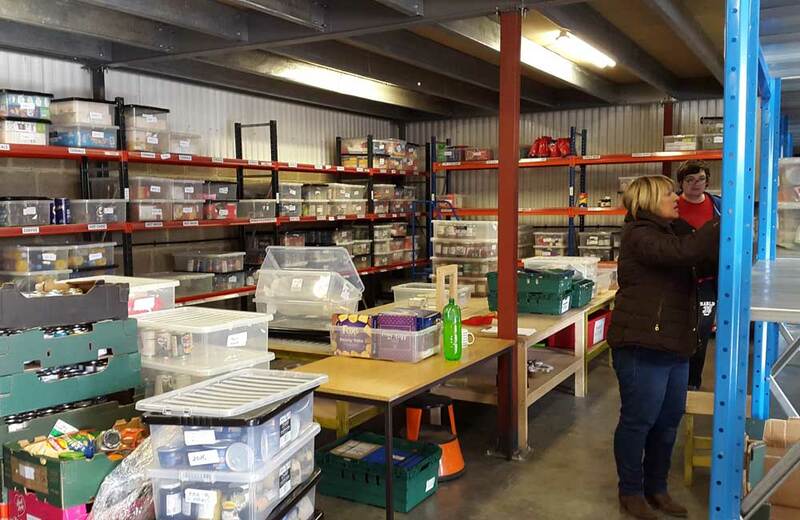 Harlow Foodbank has been providing three days’ emergency food and support to local people since April 2009 and have fed a total of 17,360 (11,508 adults & 5,852 children) people. 48 tonnes of non-perishable food were donated by the local community in 2015-16 and distributed to local people in crisis. Harlow Foodbank is part of The Trussell Trust network. Trussell Trust foodbanks provide three days’ nutritionally balanced food and support to people in crisis in the UK. We also signpost people to other agencies and services able to help resolve the underlying cause of the crisis. The Trussell Trust statistics are a measure of volume – they show the number of people to whom The Trussell Trust foodbanks have given three days’ emergency food. These are not necessarily unique users. Our data system is beginning to capture numbers of unique foodbank users on a national scale, and whilst it is too early to accurately use this figure, detailed evidence collected from a range of foodbanks indicates that on average, people needed 2 foodbank referrals in one year. 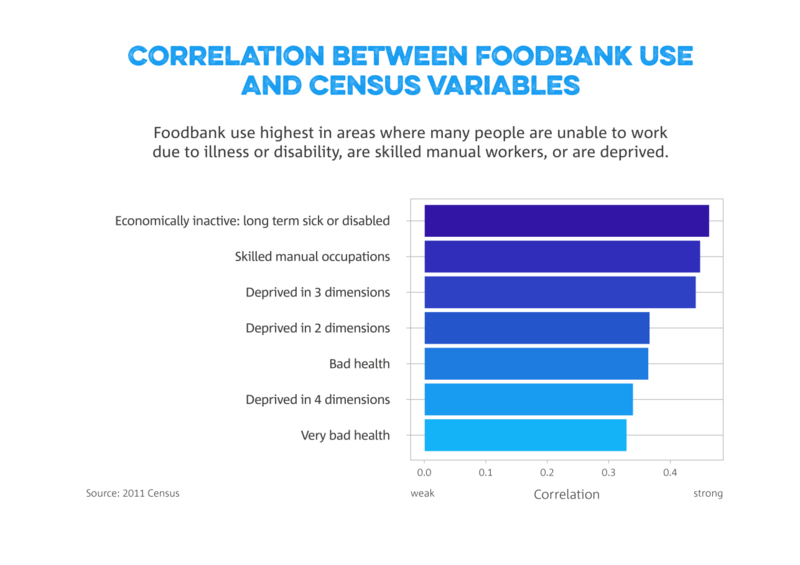 The Trussell Trust has worked with data scientists, business model specialists and academics from the University of Hull and the commercial sector to create the UK’s first ever dynamic visualisation tool for crises leading to foodbank use, and to compare foodbank data with deprivation indices from the 2011 census and other open data. 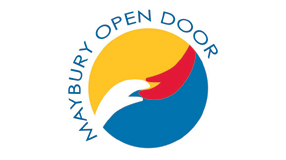 Although currently in early stages of development, this unique platform could allow agencies making crisis interventions to add their own data to open data and foodbank data and track the use of local support services, work out where there is unmet need, and evaluate the root causes and effectiveness of interventions.